July 17, 2014 – The Coloradans Against Auto Theft (CAAT) coalition recognizes National Auto Theft Prevention Month with a new Lockdown public awareness campaign empowering citizens to take an active role in protecting themselves and their communities from auto theft. The summer "Lock Your Block" campaign aims to reduce auto theft by engaging communities to be proactive in prevention efforts. "The best form of auto theft prevention happens within communities," said Colonel Scott Hernandez, Chief of the Colorado State Patrol (CSP). "The point of this campaign is to encourage neighbors to protect neighbors, families to protect families...if you notice suspicious behavior in your community, report it immediately." Lockdown Summer Campaign: "Lock Your Block"
The Lockdown campaign, supported by grant funding through the Colorado Auto Theft Prevention Authority (CATPA), is conducted statewide in conjunction with law enforcement agencies, insurance companies and community partners. "It takes a strong combination of law enforcement and task forces working together with the public to combat and prevent auto theft," said Robert Force, CATPA Director. "We increasingly see auto theft as a gateway to other serious crimes, which makes our jobs even more important. It's not just about auto theft, it's about doing what we can to make communities safer overall." "Auto theft traditionally spikes during the summer months when drivers tend to leave their guard—and their windows—down," says Carole Walker, Executive Director of the Rocky Mountain Insurance Information Association and CAAT co-chair. 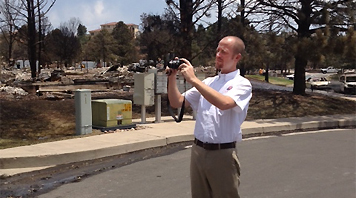 "This summer's campaign creates a sense of proactivity among neighborhoods. We want to encourage Coloradans to call in suspicious activity to help Lock Your Block against auto theft. In addition to mass media and grassroots tactics, we will be supplying task forces and police departments with campaign materials to help spread the word statewide." 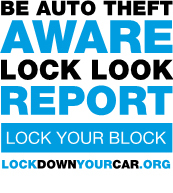 The campaign encourages citizens to checkout the interactive hotspot map on www.lockdownyourcar.org to become more informed about where auto theft occurs and that it happens in their neighborhoods—an incentive to be auto theft aware and "Lock Your Block." Stay aware! If you suspect an auto theft, report it to local authorities by calling 9-1-1 or a non-emergency line. Lock Your Block: Support community crime reduction efforts, such as Neighborhood Watch. Get real-time statistics on your area auto thefts at lockdownyourcar.org. 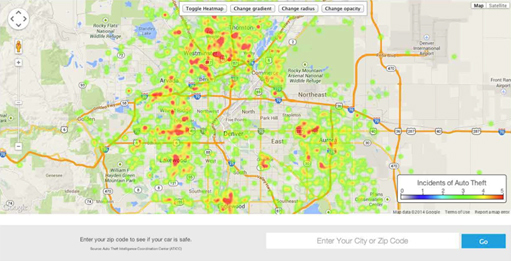 Enter your zip code to see if your car is at risk. Attend August National Night Out activities to learn how to keep your community safe. Always lock your car. Park in well-lit areas. Don't keep a spare set of keys in the car. Media ride-alongs available upon request. For ride-along opportunities, please contact your local law enforcement or Colorado State Patrol PIOs or Annie Coghill on behalf of CAAT at 303-832-2700, ext. 202. Coloradans Against Auto Theft (CAAT) is a statewide auto theft prevention initiative to raise awareness about the problem and educate the public on what they can do to reduce their chances of falling victim to auto theft. CAAT is a coalition of law enforcement agencies, the Colorado State Patrol, insurance partners, LoJack and AAA Colorado. CAAT and the state auto theft task force efforts are funded in part by the Colorado Auto Theft Prevention Authority (CATPA).